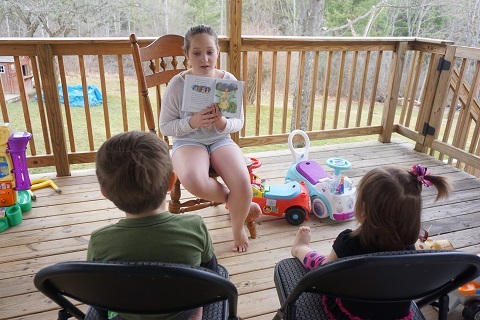 Hailey read another version of the Easter story from another children’s Bible that we have. 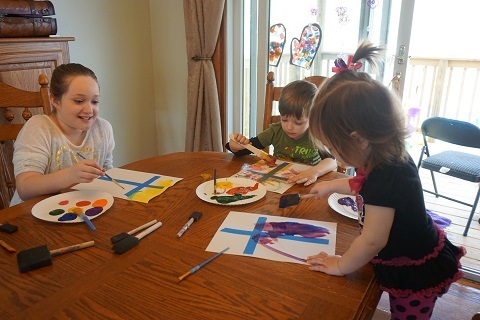 We put painters tape in the shape of a cross on some paper and then the kids painted. Once they were dry we took the tape off, and these are the completed pictures. 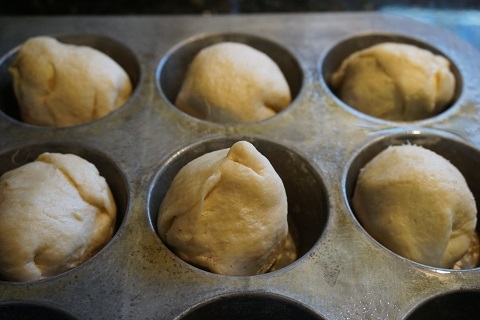 We also made resurrection rolls. We pretended that the marshmallow was Jesus. 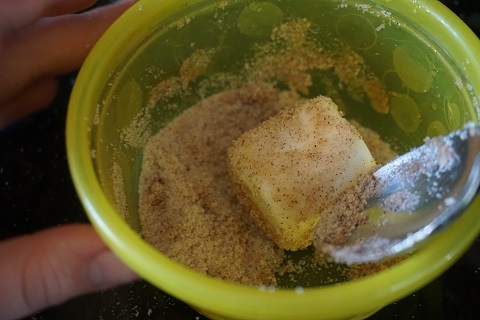 We rolled the marshmallow in butter and then a cinnamon sugar mixture, which represented the oil and spices they would have put on the body of Jesus after he died. 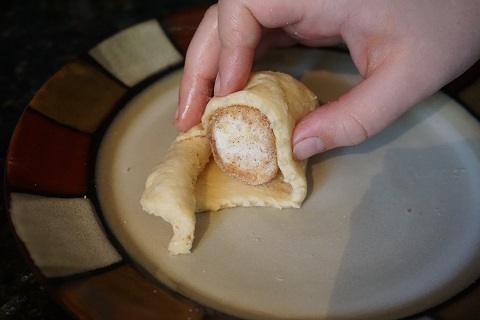 Then we wrapped the marshmallow up in a crescent roll, making sure to seal all of the edges really well. Then we baked the rolls. This symbolized Jesus being in the tomb for 3 days. 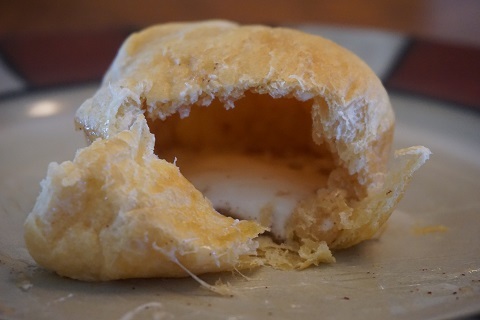 The roll was empty- just like the tomb! 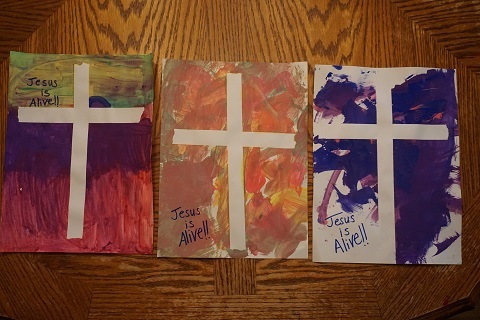 Then the kids made pictures of the tomb with the stone rolled away.